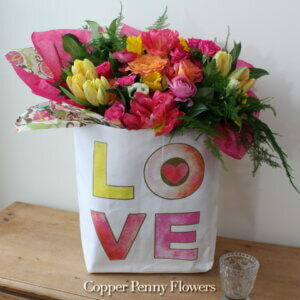 BlogHome » Blog » Blog » Have Fun Choosing Flowers for Valentines! 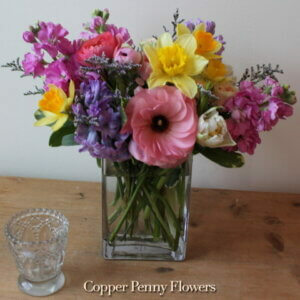 Have Fun Choosing Flowers for Valentines! 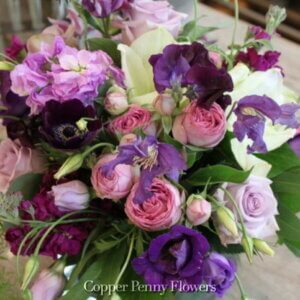 *30% of American women sent Valentine’s flowers to their spouse. 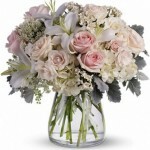 Single or part of a couple, this is the holiday to indulge sending, receiving, and enjoying flowers! 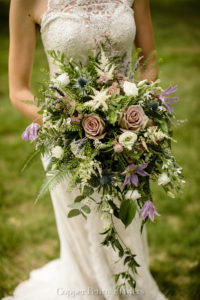 But if you want to branch out, consider giving light pink, hot pink, lavender, orange, yellow, or white roses. 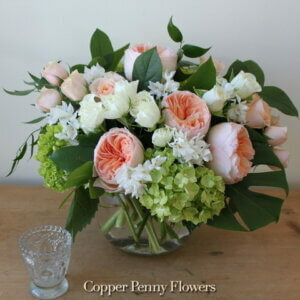 Copper Penny Flowers is stocking lots of our favorite rose varieties! 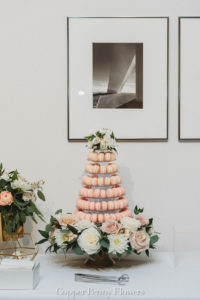 Or consider designs that combine roses with other flowers, like beautiful Peach Veranda featuring garden roses, spray roses, and hydrangea; or striking Jump for Joy which mixes amaryllis with roses, tulips, and ranunculus. 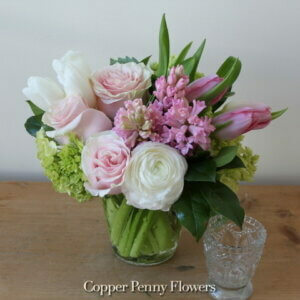 Another happy favorite is the tulip, heralding both affection and spring. 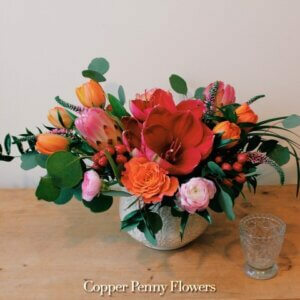 For Valentine’s Day, think tulips in red, pink, hot pink, orange, or white. 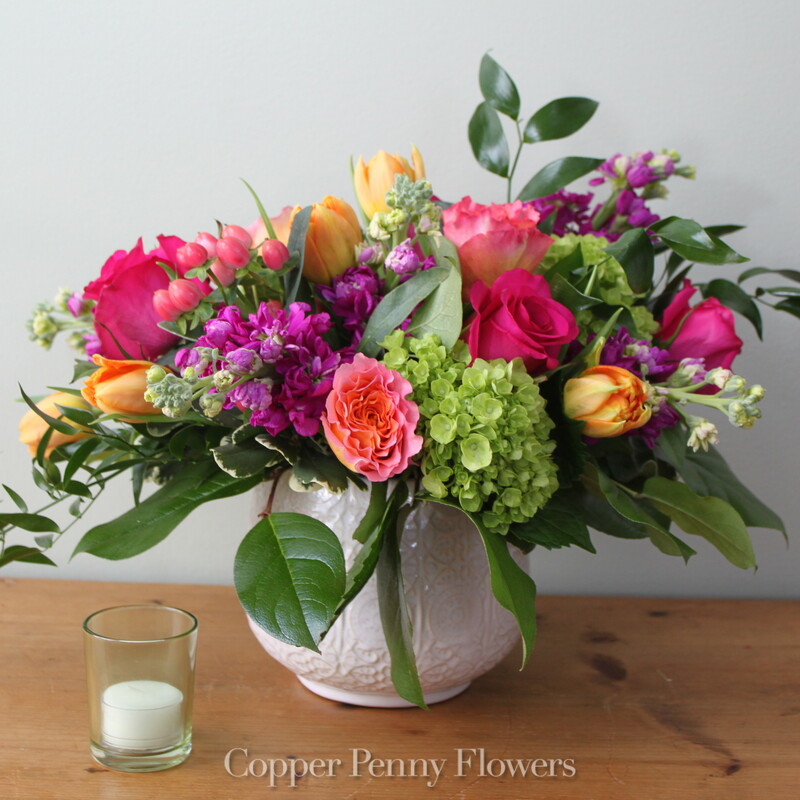 Choose a soft pastel palette featuring tulips, like Charming Pink, or go with a full spring mix, like Come Spring featuring tulips mixed with daffodils, hyacinth, stock, and ranunculus. 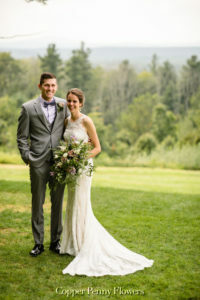 Love and spring; an unbeatable combo! Sending to someone who has too many vases to count? 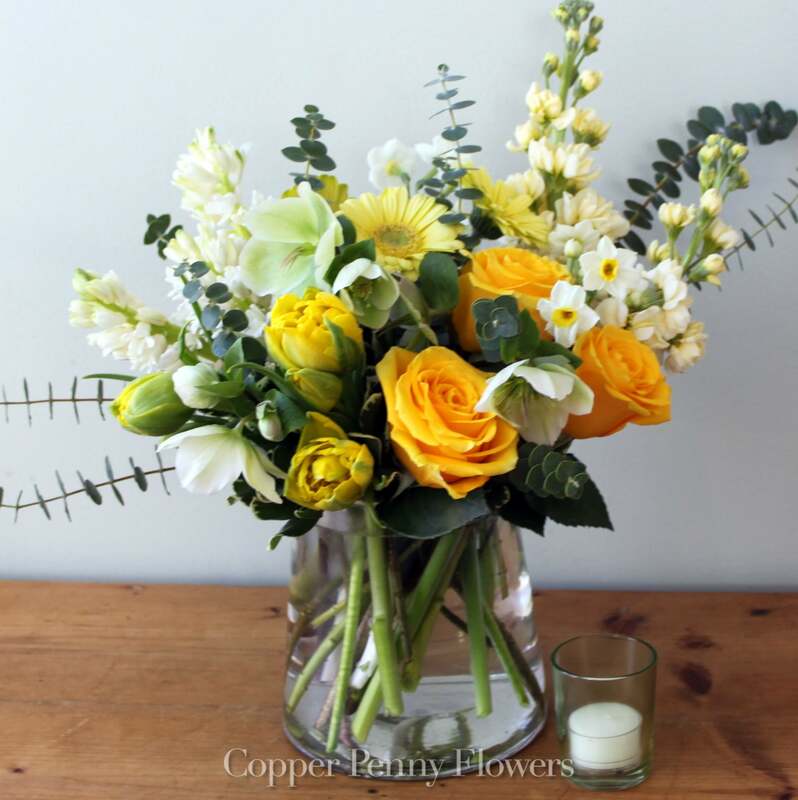 Send a stunning hand-held bouquet ready to drop in a vase. 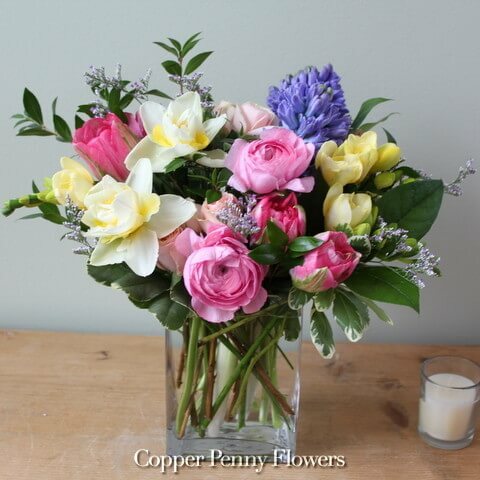 Choose Distinctive Charm Bouquet for a lover of pinks and purples, or a bright Love Blooms Bouquet in a keepsake Love container to send a love message the whole year through. 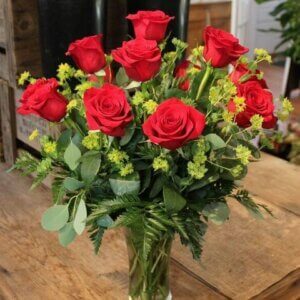 Valentine’s Day is on a Wednesday this year which means savvy partners can turn a day of love into a week of love by getting those office or home flowers sent out Monday or Tuesday. Order early. The florists have to. 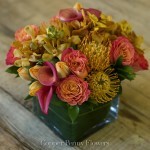 Flower orders for Valentine’s Day are placed weeks ahead of time. 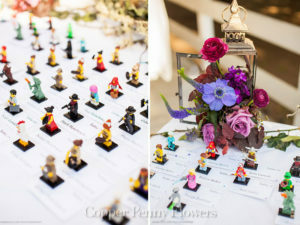 When all of a certain color rose available is accounted for with orders already placed, hopefuls placing late orders are out of luck. 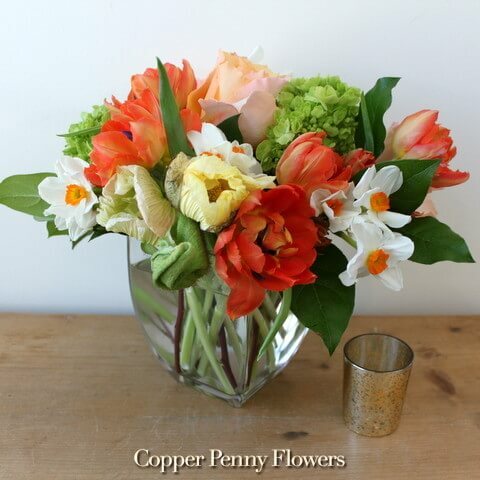 Copper Penny Flowers always has beautiful designer’s choice arrangements available, but when specific flowers, colors, or vases are important, the earlier you order, the better. 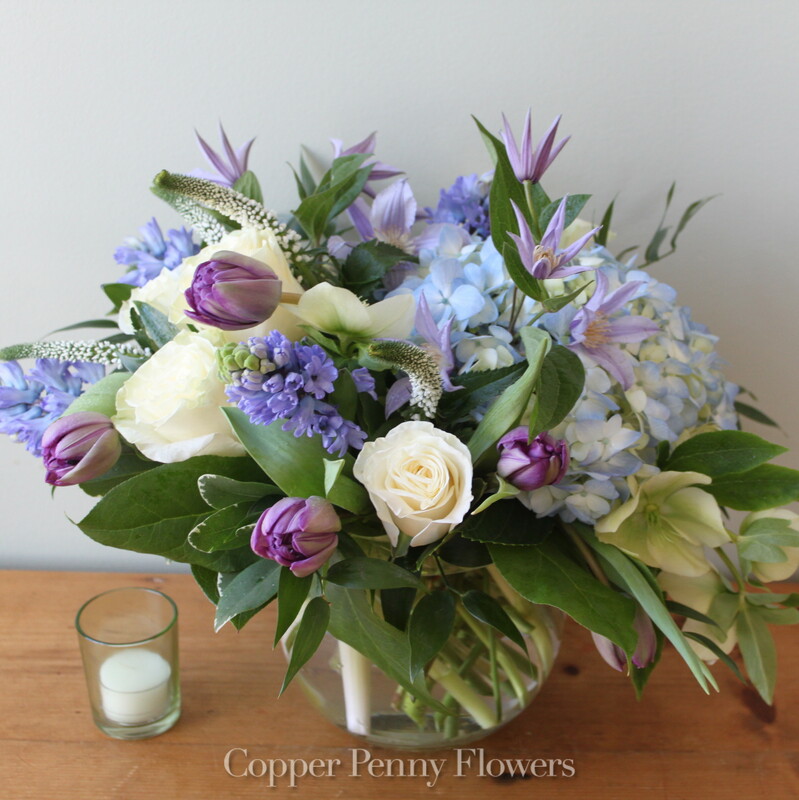 Whatever flowers you adore, for yourself or others, don’t get left out of the floral fun! 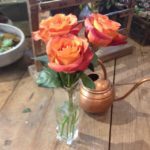 Love Valentines? 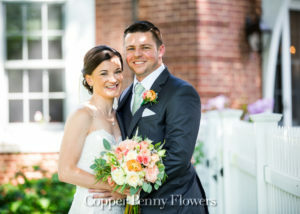 Love Flowers! 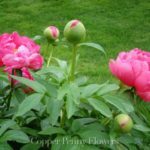 Popular Garden Folklore: Fact or Fiction? 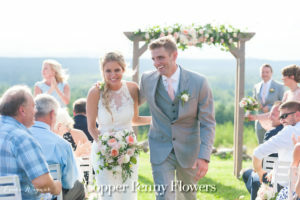 next post: Can Flowering Gift Plants Be Planted Outside?